Kids will love to set up their kitchen with this super-sized assortment featuring colorful pots, pans, cups, bowls, dishes, utensils, tea pot, strainer, pitcher, cookie cutters, roller, juicer, dish pan and more. 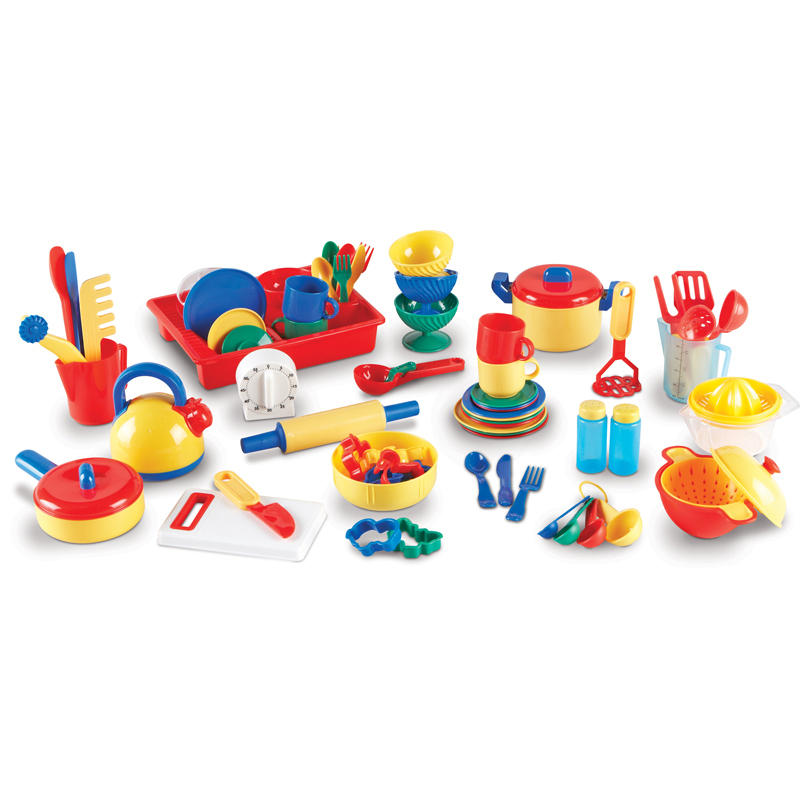 Includes more than 73 durable plastic pieces to provide hours of cooking fun. Comes with large carrying box for easy storage.